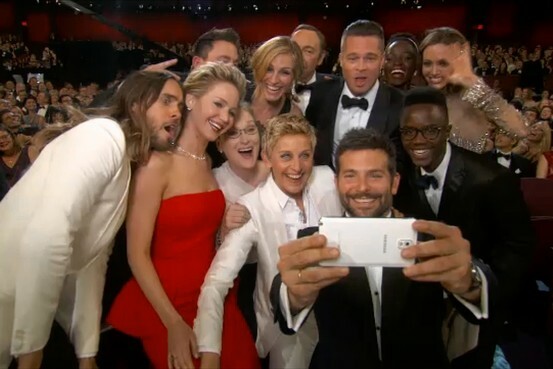 You’d think Samsung would just accept its good luck and bask in all the attention that came with Ellen’s record-breaking Oscar tweet. But no story is complete without a little spin. You get a phone, and you get a phone, and Samsung gets…more free publicity? Last evening, the Wall Street Journal reported that the contract between Samsung and ABC included a stipulation that the product would be featured in the show. Ellen planned a series of selfies ahead of time, and Samsung execs trained her on how to use the Galaxy during rehearsals. This makes sense, because we quickly learned that she prefers the iPhone in real life. Of course Samsung didn’t do anything wrong on Oscar night—when they say “organic” they mean that no one scheduled that particular photo with those people at that time. And the commitment to donate $3 million to St. Jude’s Children’s Research Hospital and the Humane Society at Ellen’s request is a great move. At the same time, false modesty tends to come off as a bit…disingenuous.